All of our shading systems are thoughtfully designed, custom made, and expertly installed to ensure a precise fit and superior look. When the initial meeting is complete, your representative will prepare a proposal that is tailored to your space and personal preferences. That proposal can be edited accordingly if you wish to alter the design. J Geiger shades are custom made in Charleston, SC and expertly installed by specially trained technicians nationwide. Most shading systems are prefabricated according to estimates. J Geiger shading systems are built on site with the same level of care that you would expect from a trim carpenter or custom cabinet maker. As such, we’ve developed a proprietary two-part installation process to ensure a quality fit. Our installation process is unique in that all hardware is installed before shades are manufactured. This usually occurs during the trim phase of construction, but the same process applies for retrofit projects. An installer or team of installers will mount brackets and cut shade tubes on site during the initial install visit. Once hardware is installed, exact measurements are taken for shade dimensions. By installing brackets, tubes and motors early, we can ensure an accurate fit and proactively test functionality. All window shades are cut, sewn, and packaged at our manufacturing facility in Charleston, SC. 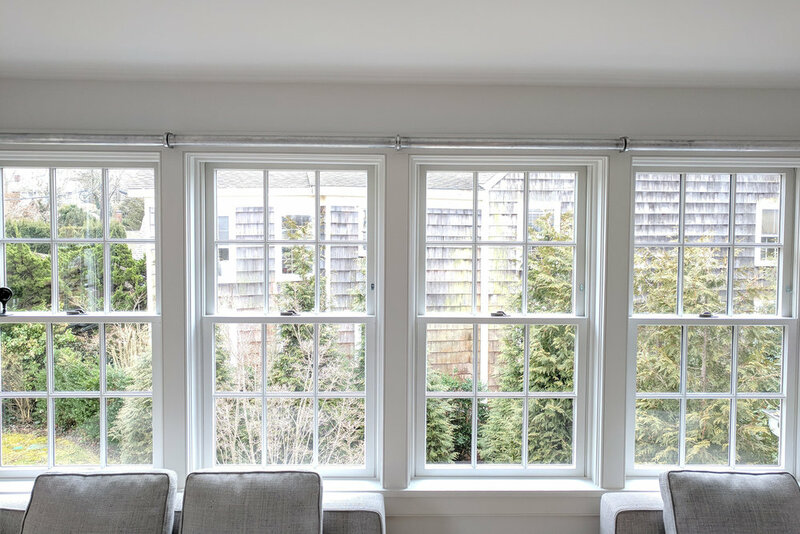 Window shade dimensions are derived from exact measurements (the actual tube size installed during the first install visit). We never use estimates. Shades are custom made after all tubes and brackets are in place, and shade manufacturing usually takes 4-6 weeks from the initial install visit. Shades are installed into an already working system during the second visit. An installer will program your system and test controls. Your local team will be available to you after installation if questions arise.